And then, a little further on, I realised that she has. The Emperor's Edge crew are a group of dysfunctional, very low-powered supers, working as vigilantes outside the law in the cause of Right. This time they're outside the city, battling magically-controlled monsters and magically-powered automatons (it's a little more steampunky than the first one). A lot of fun, and the action never stops - but at the same time there's plenty of characterization going on. The afterword says that the author plans to give each of the group a book in which they're the "second lead" (with Amaranthe, the leader, remaining in the top spot), and it's a nice idea. This is Books' book, and he gets to have a little romance and be a hero as well as do research. As with the first book, I bought the next one immediately after finishing, and I'm looking forward to it. 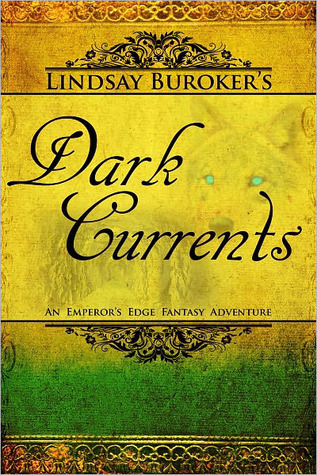 Sign into Goodreads to see if any of your friends have read Dark Currents.